If you think you may have computer vision syndrome, you probably do. But you can see better when you choose the best computer reading glasses you can find to combat your symptoms and help you feel better. Simply order the ones that are right for you — and you’ll see a major difference from the moment you first put them on. Then you can get on with your life. Computer vision syndrome or CVS is the discomfort and blurred vision many people experience after looking at a computer monitor for two or more hours a day. If you’re like many people, you stare at your monitor even longer than that — for four, five, six or more hours every day. And when you’re concentrating on something, you forget to blink. Lots of factors contribute to computer vision syndrome, but making several small changing in your computer usage habits can lessen or eliminate your tired eyes, blurred vision and other problems. Here’s some information about computer vision syndrome and some details about how computer reading glasses and other steps can help you conquer it. Simply put, computer vision syndrome is a treatable, temporary condition that happens when you look at your computer’s monitor for a long time. Sound familiar? If these symptoms seem to fit your case, you probably have computer vision syndrome, but your eye doctor can tell you for sure. While it’s the act of looking at the computer itself that causes the condition, a number of things make it worse — things you may be able to change to help reduce the problem. These include glare on the screen, bright overhead lights, air blowing in your face from vents or fans and a monitor placed too high. First, consider the position of your monitor. Experts suggest that placing your monitor just below eye level could reduce eye strain. 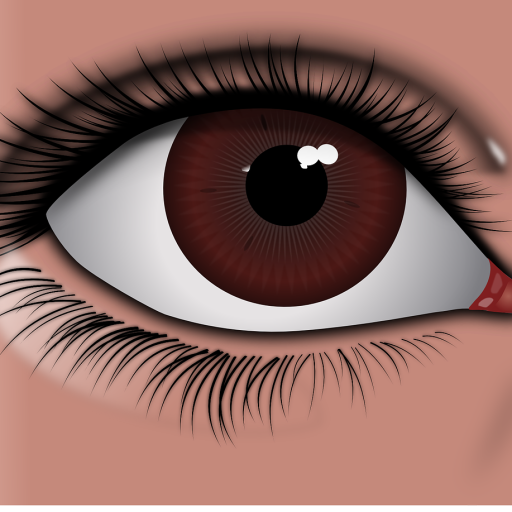 Re-position your screen, if you can, to see if that helps reduce symptoms. Reducing the wattage of overhead lights or turning them off in favor of lamps may help too. That could reduce glare on your monitor. Generally, modern flat-screen monitors glare much less than traditional tube screens, so upgrading to a newer monitor can reduce or eliminate glare. Adjusting fans and air vents so that air passes over your chest, abdomen and legs — where it does the most good for keeping you cool anyway — is also a great idea. Air blowing into your eyes can cause irritation in just a few minutes and can make other eye symptoms seem worse. 1. See an eye doctor. Most people don’t like to hear it, but one of the quickest ways to get relief from computer vision syndrome is to visit an optometrist. If you’ve been wondering what’s wrong with your eyes for a while, the idea may be weighing on your mind. Visiting an eye doctor could put your fears to rest and put you on the road toward feeling better. My eye symptoms were certainly worrying me. Read my story of coping with dry eyes and CVS to see what I did to reduce my CVS problem. You may need prescription glasses, new contact lenses or — as was the case for me — low power reading glasses and eye drops to reduce dryness. 2. Consider computer reading glasses. Whether you visit an eye doctor or not, low power reading glasses or computer reading glasses could be part of your solution to tired, irritated eyes. You may even need stronger reading glasses. Low power reading glasses aren’t as strong as the ones you find in most local stores. With magnifications of just +0.25, +0.50 or +0.75 diopters, they’re perfect for people who see well but overuse their close-up vision. You may be surprised how much difference such a small magnification can make. Computer reading glasses are very similar, but they’re often tinted to reduce the impact of UV rays on your eyes. They may or may not be magnified. Explore elsewhere on this site for details about how low power reading glasses and computer reading glasses can help you. 3. Try lubricating eye drops. You may have tried simple saline drops or artificial tears. If you’re like me, you’ve found they make your tired, dry eyes feel good for a few minutes but do very little to help your computer-related eye problems over the long term. Lubricating eye drops contain special ingredients that coat your eyes every time you blink. The trick is finding a product that’s strong enough to lessen your symptoms but does not leave such a thick film in your eyes that it causes additional blurriness. For me, Blink Eye Drops did the trick. Eye problems related to computer use can get so bad that your eyes hurt even when you’re away from the computer, but there are ways to lessen or eliminate the symptoms, making you feel better and work more productively. Tired, red, irritated eyes don’t have to be part of your life even if you use a computer for several hours each day. Computer vision syndrome is a condition you can treat yourself and that an eye doctor can help you treat. Once you take the few simple actions I’ve outlined here and follow any additional advice you get from your eye doctor, you can feel better all day, every day, whether you spend it looking at a computer or not. To put it another way, a few simple changes involving computer reading glasses, drops and other lifestyle changes can clear your eyes.